I fell asleep about 9:30pm last night and woke up at 4am. Thank you, Jetlag. I got out of bed at about 6am and went downstairs to journal about my trip so far, enjoying the solitude of someone else’s home. When everyone got up, Wayne made us ‘champion’ poached eggs which were simply delicious. in and dropped us off at the waterfront and we were left to explore. 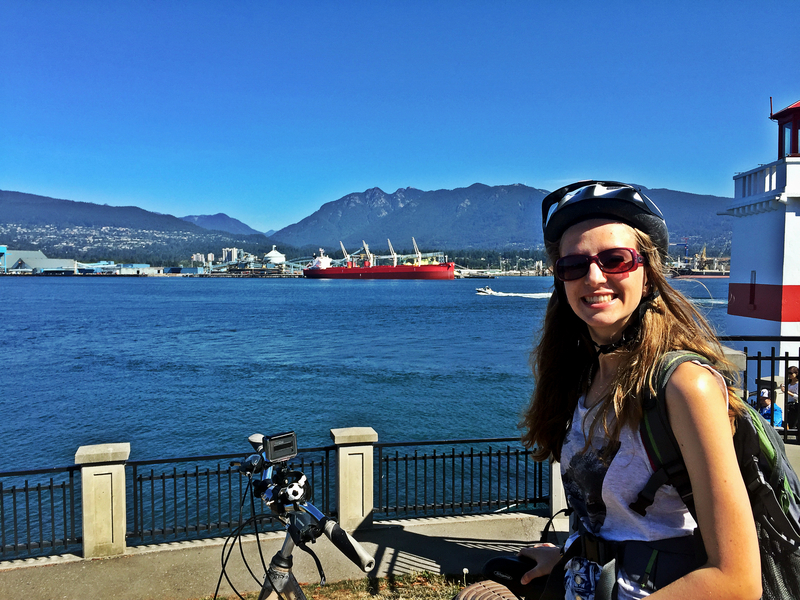 We found this super cool old tourist guy and asked him the best way to get to Stanley Park and where to rent bikes. He gave us loads of information and we were on our way. We got some bikes, hopped on and cycled to the park. 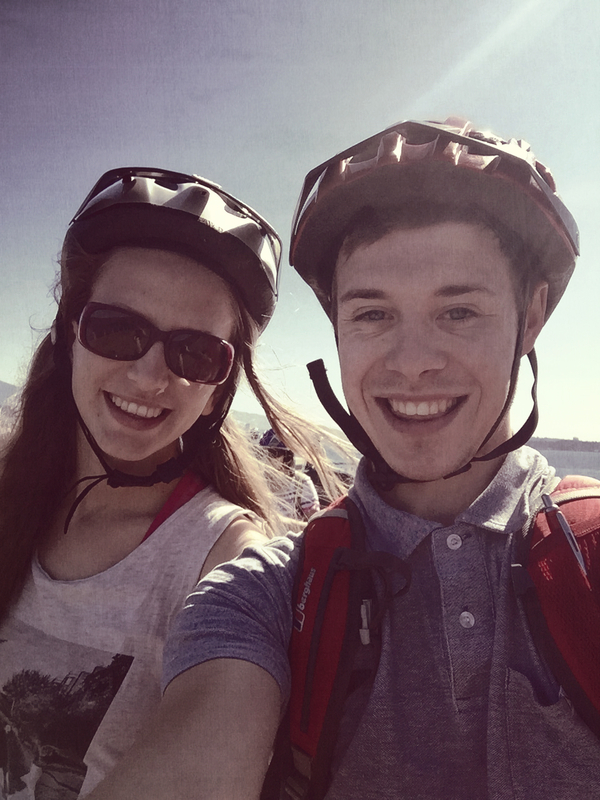 I had the go pro on the front of my bike, we took some photos, we played the role of a tourist, we went to a beaver lake with no beavers in it, the sun was shining, it was warm, the cool breeze from the sea, going slowly round on the bikes… we were so relaxed. The only thing on my mind was ‘I’m on holiday in Canada!’ … For Ali, his thinking was a little different. He started looking around a little, asking if we could try a different trail, taking us down another route, going back to the original route when finally he just stopped at the edge of the water and I sat down on the wall. I’m wondering to myself what we’re doing there and why Ali is so persistent on sitting down (but I didn’t think too much). Ali is pacing around, taking his helmet off, balancing his bike, taking off his back pack when he just stands in front of me. Oh great, I think. What a way to start a holiday! But he’s not acting like it’s a cake. He’s acting nervous. 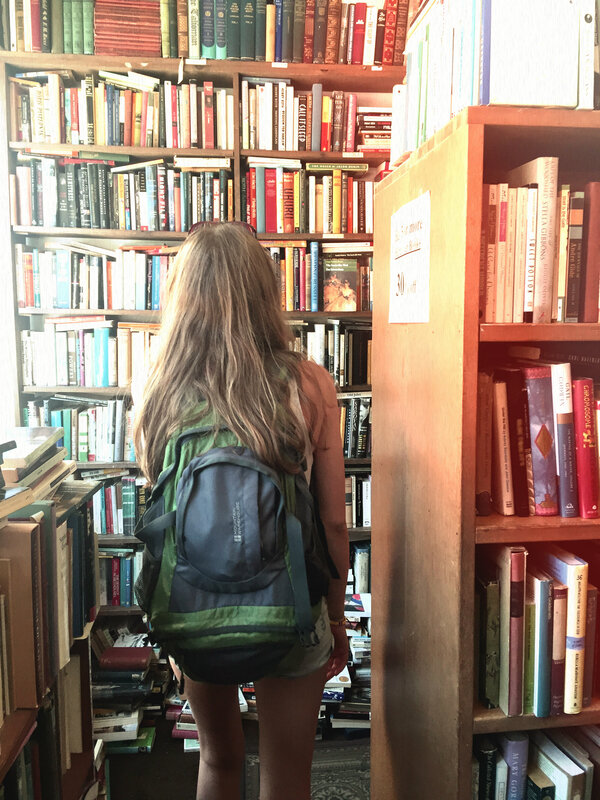 “Will I like it…” I ask. He tells me he isn’t and I ask him about thirty more times, through tears and sobs and mascara running down my cheeks. And then he pulls out a smaller ring box like you see in the movies and that’s when I was like ‘ok this is serious he has a ring he has a ring he’s asking me to marry him this is serious code red code red’. We sat there for about half an hour just getting all of the details and realising why certain things were said at certain times and laughing and crying and I just felt so happy. 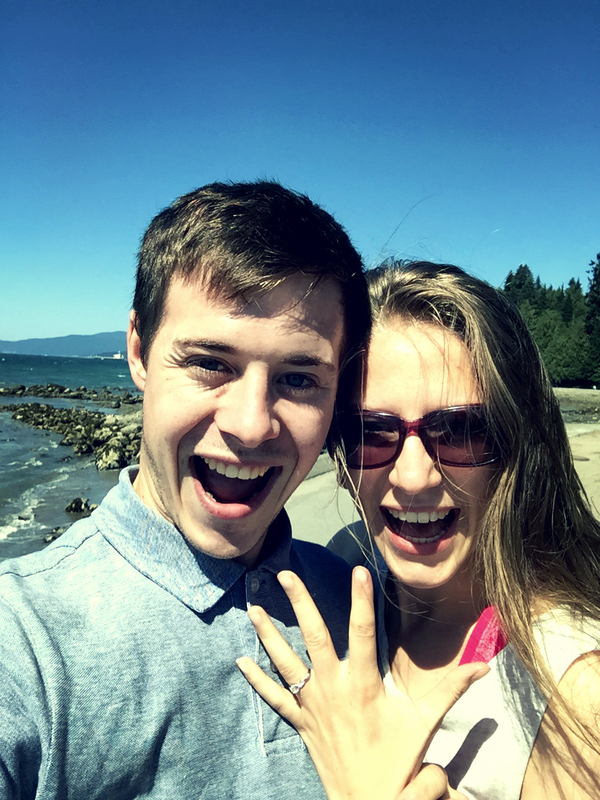 I had literally NO idea this was coming and could not believe my eyes when I saw this weirdo down on one knee with a ring. I still feel like I’m just a little girl and now I’m going to be making WEDDING PLANS????? 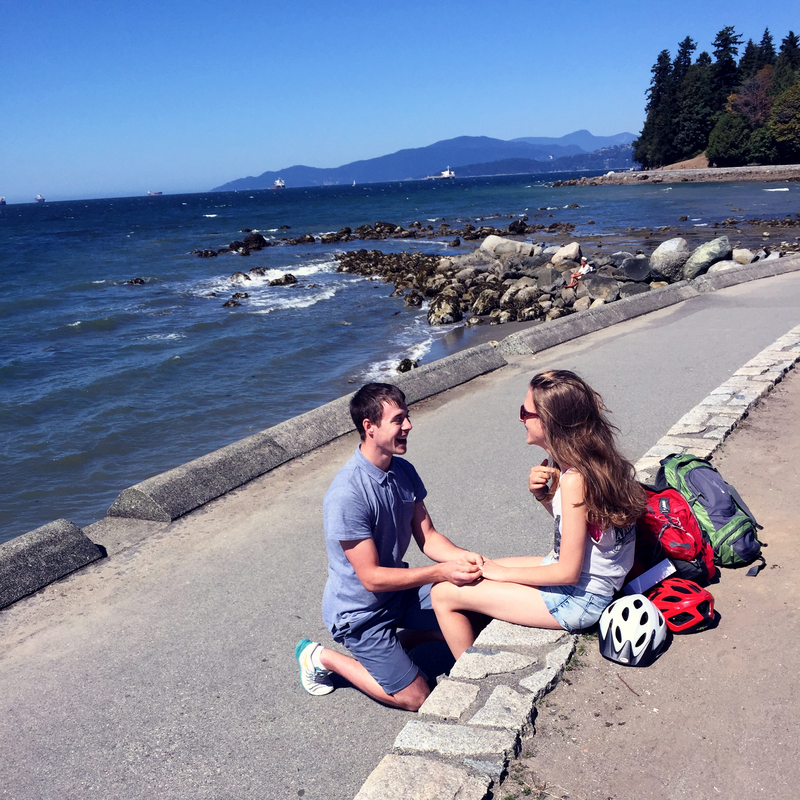 We cycled around the rest of Stanley Park just like looking at each other and the ring and talking about everything and waiting for it to sink in (it still hasn’t). 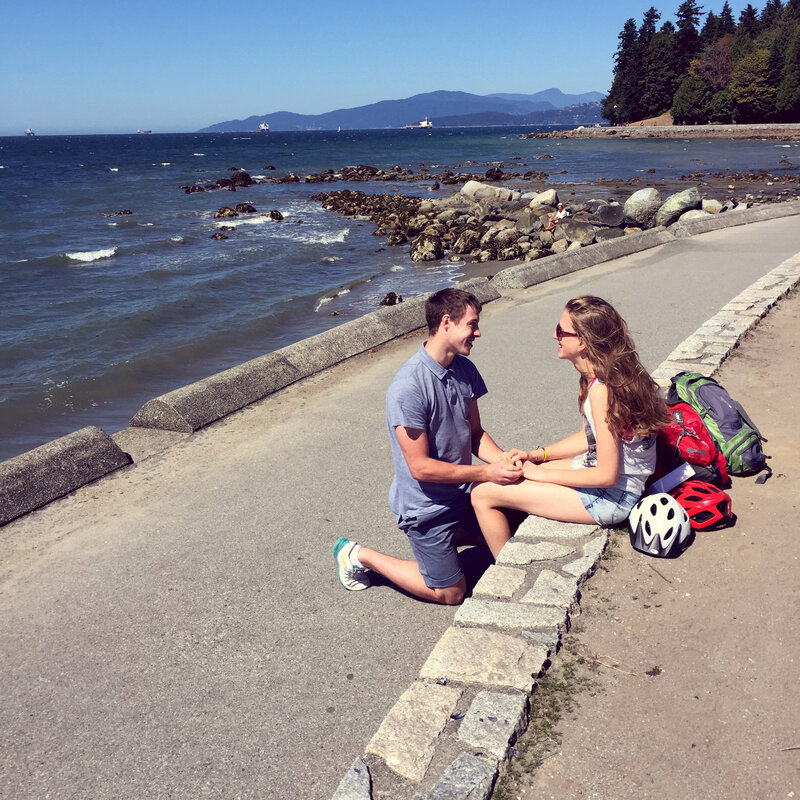 I don’t actually remember anything else about the cycle; I was riding a bike with a ring on my finger and someone calling me fiancée and I was just overwhelmed. We brought the bikes back and found somewhere to sit for lunch and we just laughed and talked and ate and cried and then we made super expensive international phone calls and told the family. Everyone was so lovely and pleased (and shocked). Both our parents, our best friend Adam and my Auntie Tracy knew it was going to happen. Both parents were ecstatic and loving and then I talked to my sister who just kept repeating ‘WHAT THE HECK? WHAT THE HECK? I’M SO CONFUSED!’ and I’m like ‘same Rachel, same’. Talking on the phone to the family was really hard because this is the kind of thing I want to share with them but have to wait another few weeks. Thankfully, I’m with family here in Canada who have been so supportive and excited and exactly what we need in this time. We have so many plans to make, so many things to talk about and I am literally so blessed to have Ali and I couldn’t ask for a better start to our holiday.